This stunning 4bdrm, walk-out family home does not disappoint! 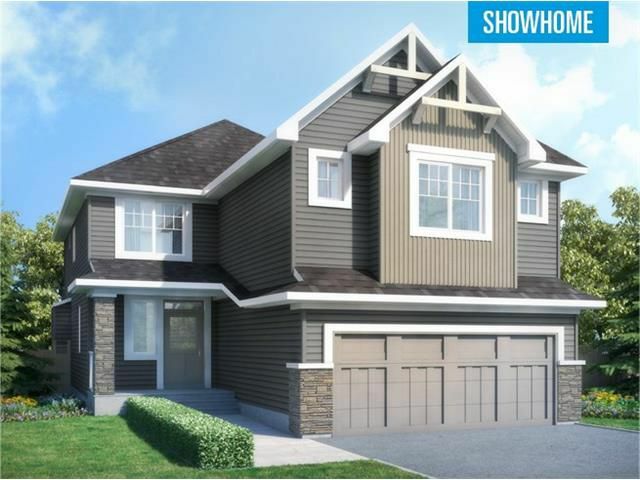 Modeled after Genesis "AMBASSADOR" Showhome, this property comes generously appointed throughout including 9' main & bsmt ceilings, Gas fireplace in LR & hardwood floors. The Chef's kitchen inclds Quartz counters, stainless appliance pkg & island w/breakfast bar. The main flr features a Flex Room w/dble doors ideal for a home office or formal dining room. Upstairs boasts 4 generous BDRMS and a BONUS ROOM. The Master is complete with a 5pc Spa inspired En-suite w/ separate shower, SOAKER TUB & DUAL VANITY. The oversized walk-in closet is sure to please. Huge 19'x13' Bonus Room makes a great family lounge area. You can't beat a sunny WEST BACK YARD on the Canal, fully landscaped with deck on this deep private lot. Purchase quickly & there is STILL TIME TO CUSTOMIZE SOME SELECTIONS in this home with approx. September 2015 possession. Close to great schools & amenities.